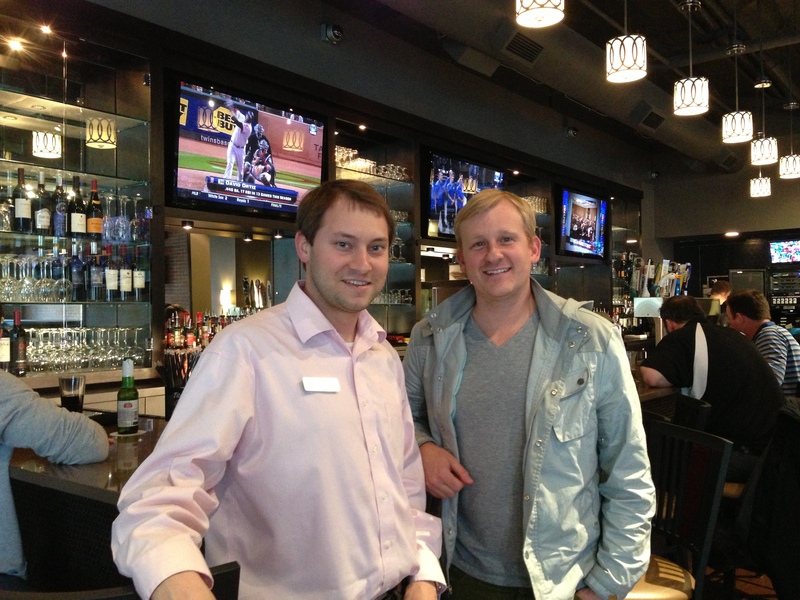 Ryan Reid and Ryan Faircloth opened The OC Bar & Grill with the vision to provide an upscale sports bar to visitors and residents of Greater Raleigh. You&apos;d think an upscale sports bar would come with high prices, but that&apos;s not the case. 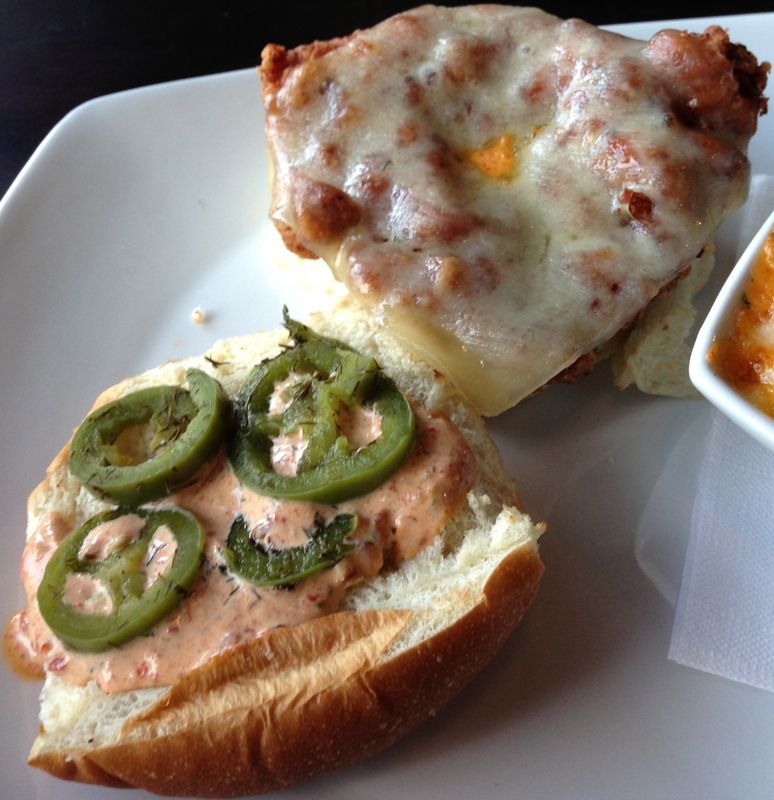 The best part about The OC Bar & Grill is the affordable food, which is all made in house and from scratch every day. Actually, I&apos;m lying. Everything is from scratch except for the S&apos;mores dessert, which you make at your table over an open flame! Too cool. With over 30 televisions and every sports package imaginable, you can enjoy the big game and delicious food all in the same place. 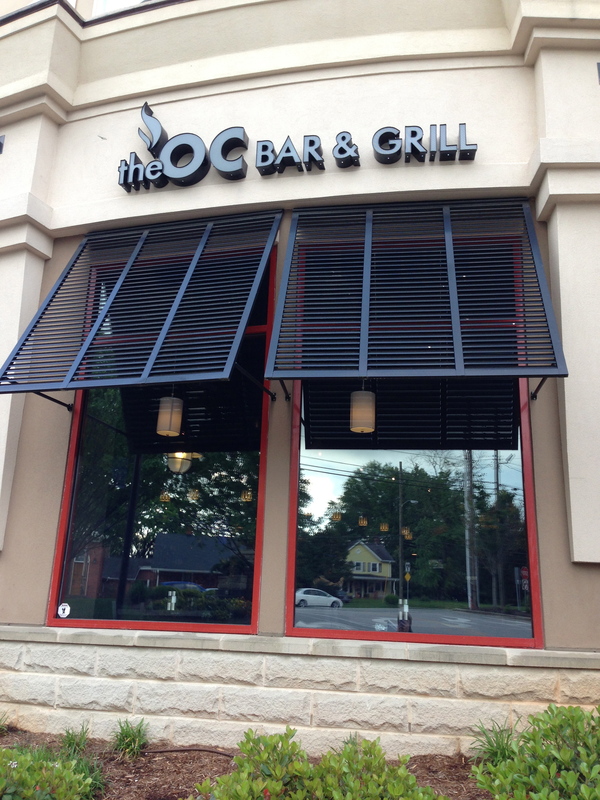 The OC Bar & Grill opened its doors on Wed., Apr. 17, 2013. I visited the Ryan&apos;s last night to talk about the new restaurant and of course, try some food. Before walking inside the restaurant, I noticed a massive patio to my right. The patio is about 1,000 square feet and can seat 75 people. I then walked into the restaurant and was blown away by the gorgeous bar and numerous televisions covering the wall. I definitely know where I&apos;ll be hanging out more often! A large part of The OC Bar & Grill&apos;s menu includes drinks. The majority of their beers are from N.C. and I noticed a lot from right here in Greater Raleigh. Included on draft were beers from Big Boos Brewing Company, Lonerider Brewing Company, Natty Green&apos;s Pub & Brewing and Aviator Brewing Company. The unique part about The OC Bar & Grill is that they want their customers to be happy with the beer selections. There are 16 taps at The OC Bar & Grill and 13 are up to the customers. 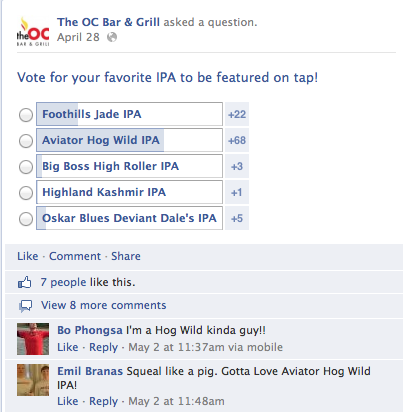 Each Friday customers can visit The OC Bar & Grill&apos;s Facebook page to vote for their favorite beer to be featured on tap. The Ryan&apos;s have found that the majority of the customers are choosing local beers made right here in Greater Raleigh or N.C. The OC Bar & Grill also has an amazing speciality drink menu, which features local liquors such as, Red Wolf Vodka, TOPO Carolina Whiskey, Cardinal Gin and Junior Johnson&apos;s Strawberry Moonshine. The drinks also include house made bitters, fresh squeezed juices and house made syrups. Lucky for me, Monday&apos;s are quite a steal! All of The OC Bar & Grill&apos;s specialty drinks are only $5, so I had to order one. After much debate over the extensive drink menu, I decided on the strawberry lemonade. 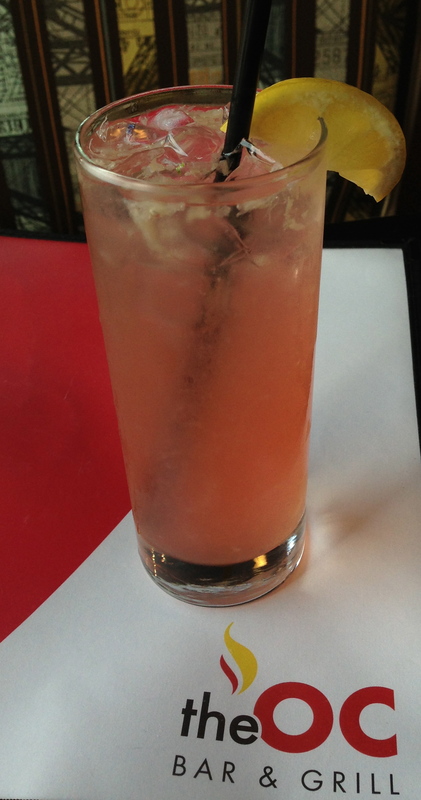 This drink is perfect for the summer and includes Junior Johnson&apos;s Strawberry Moonshine, fresh squeezed lemon juice, simple syrup, basil and a lemon wedge. You thought deciding on a drink was hard, wait until you see the food menu. The cedar plank grilled salmon is one of the crowd favorites. The salmon is grilled, marinated and seasoned with a spicy brown sugar rub, then served with grilled vegetables and Spanish rice. You&apos;ll find something to please everyone&apos;s taste buds at The OC Bar & Grill. There&apos;s a wide variety including wraps, sandwiches, wings, burgers, ribs and steak. One unique item on the menu is the fried turkey sandwich. House brined turkey breast is breaded and fried, then served with swiss cheese, house pickled jalapenos and chipotle ranch dressing on a potato roll. Every roll and bun used for the sandwiches at The OC Bar & Grill is scratch made, and you can definitely tell the difference in quality. The OC Bar & Grill also uses their smoker every day, which adds to the amazing quality and flavor of their meats. I had the option of selecting a side with my sandwich, all for a shockingly inexpensive $7.99. What a deal! 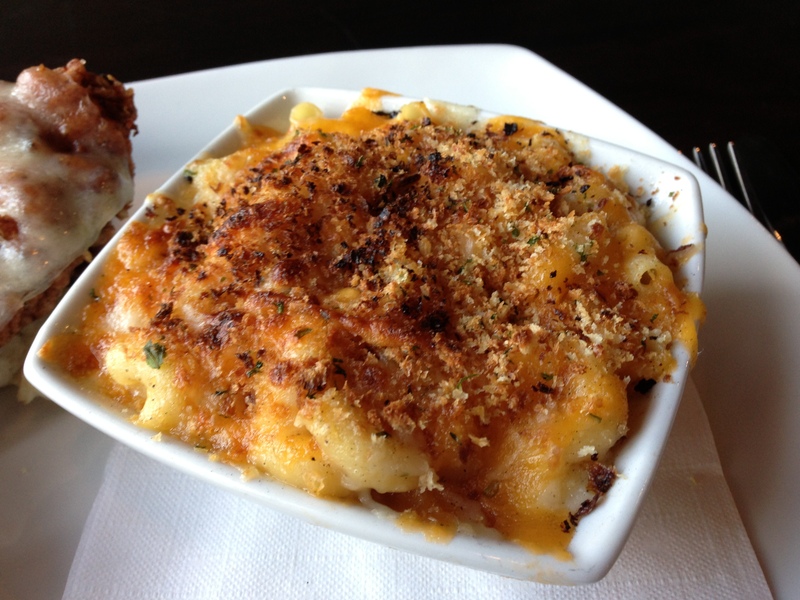 I was stuffed after chowing down on my side of extra cheesy macaroni and cheese topped with bread crumbs. The Ryan&apos;s also say the fried green beans with horseradish ranch sauce are a big hit with their patrons. They&apos;re on my list to try during my next visit! If you&apos;re looking for a sweet ending to your meal, look no further than the banana pudding brulee. This dessert is Grandma Faircloth&apos;s recipe from the back of a Nilla wafers box with a twist. Regulars are asking for the banana pudding brulee to-go, it&apos;s that good! You&apos;ll definitely need a cup of Larry&apos;s Beans coffee to pair with your sweet ending, too. The OC Bar & Grill has the capacity to make any speciality coffee drink, including mochas prepared with chocolate from Raleigh&apos;s Videri Chocolate Factory. The Ryan&apos;s are extremely dedicated to sourcing local products, which positively impacts the local economy and certainly my taste buds! Fri.: $1 Fire Sale Pint - Draft beer that is coming off tap, until we run out. This week is Carolina Brewery Oatmeal Porter. $3 All Drafts.